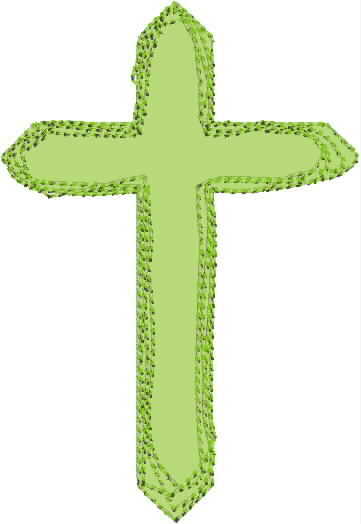 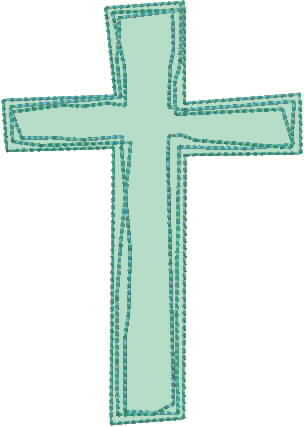 This scribbled cross applique comes in two variations--a rounded version and a more squared one. 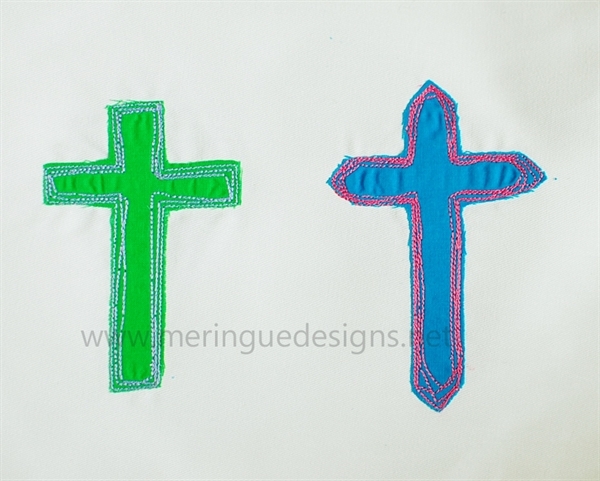 Can be stitched as a regular design as well--just eliminate the first two thread cycles. 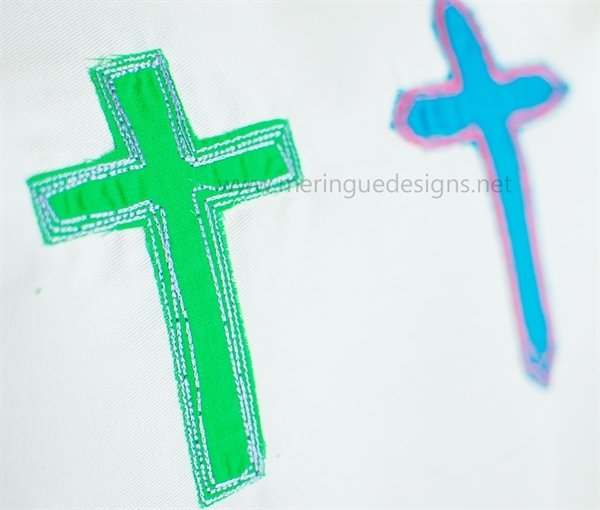 Perfect for t-shirts, tote bags, book covers, etc.